Even the smallest person can make a big difference! Peace on EARTH for everyone. 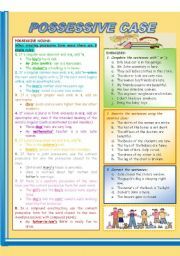 Reading comprehension, T/F; to be; have got; ask questions for the answers; possessive adjectives and posessive pronouns; writing a text about a girl. 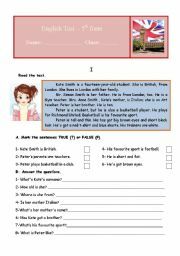 Daily Routine:reading comprehension, present simple and contimuous, prepositions, interrogatives.The doctor�s picture was taken from one of cutemisswang worksheets. Thanks for sharing your work. The others were taken from the net. 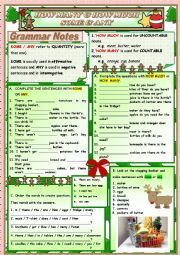 Listening;Reading comprehension; answer about yourself; verb to be; days of the week; numbers; seasons; months;colours. 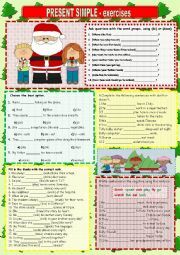 very interesting story for little kids - simple present, short sentences. 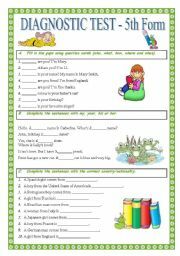 very simple story - present simple. I hope you�ll enjoy it. Very interesting story for little kids. 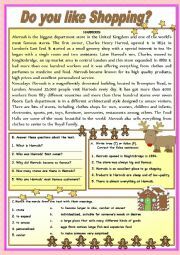 I hope you�ll enjoy it. The wolf and the seven little goats. Enjoy it with your students.